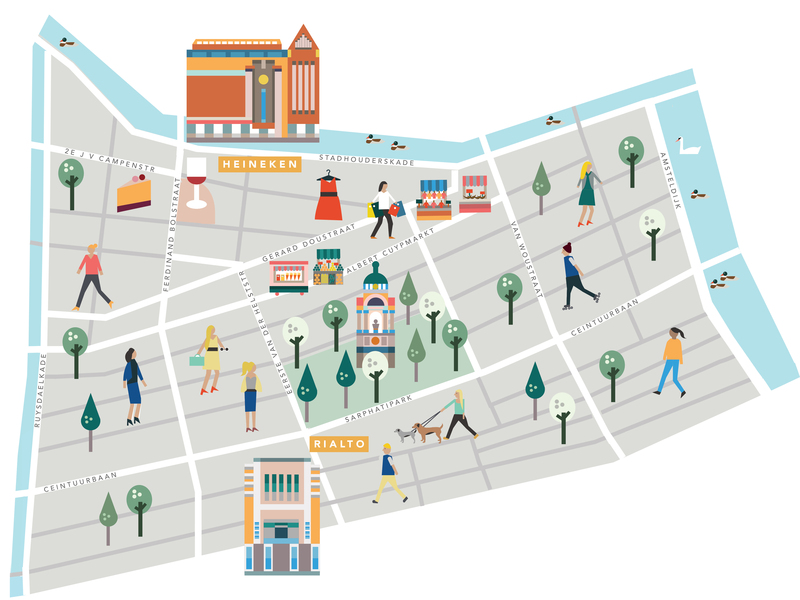 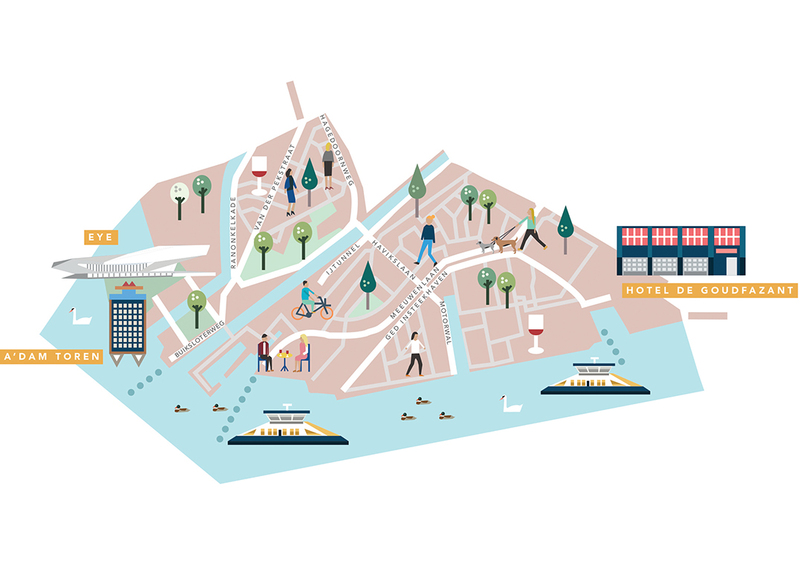 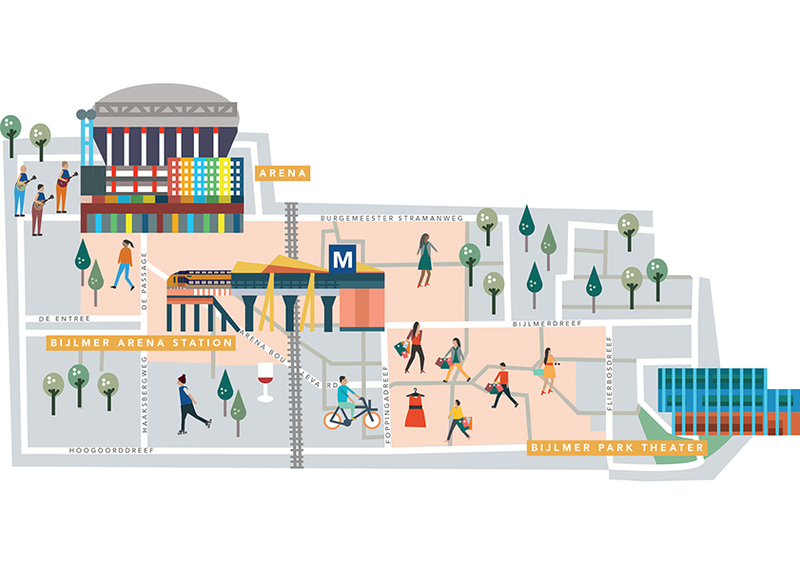 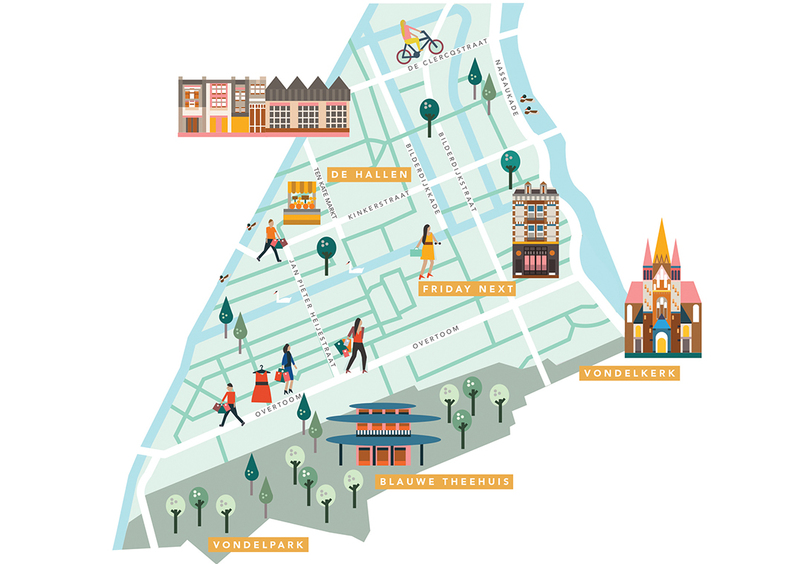 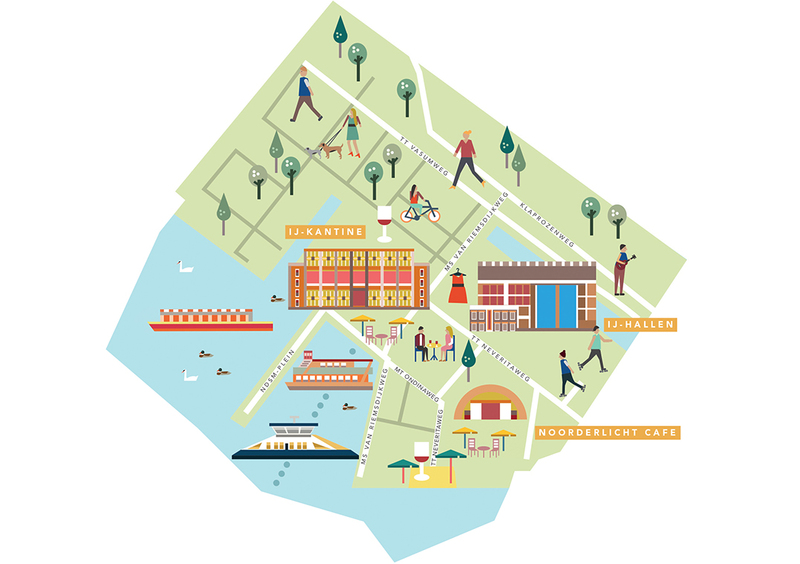 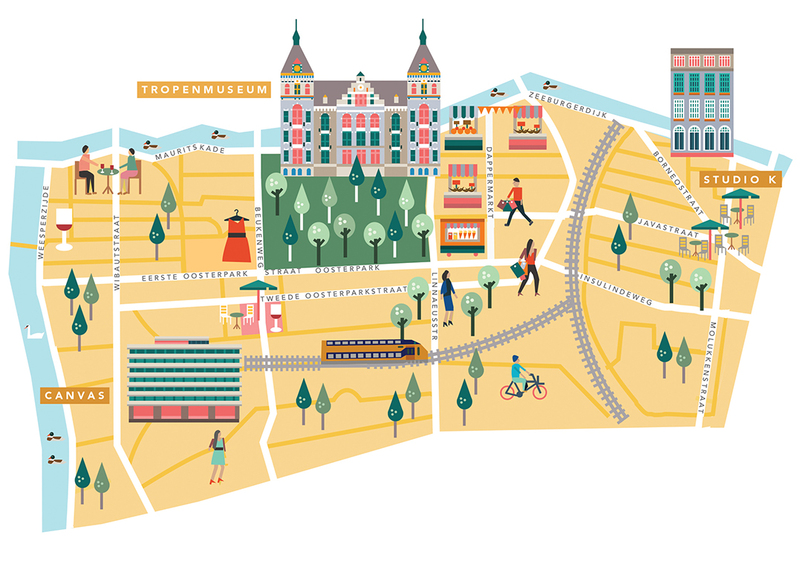 For IAmsterdam and Amsterdam Marketing, I illustrated ten maps to show each area of Amsterdam. 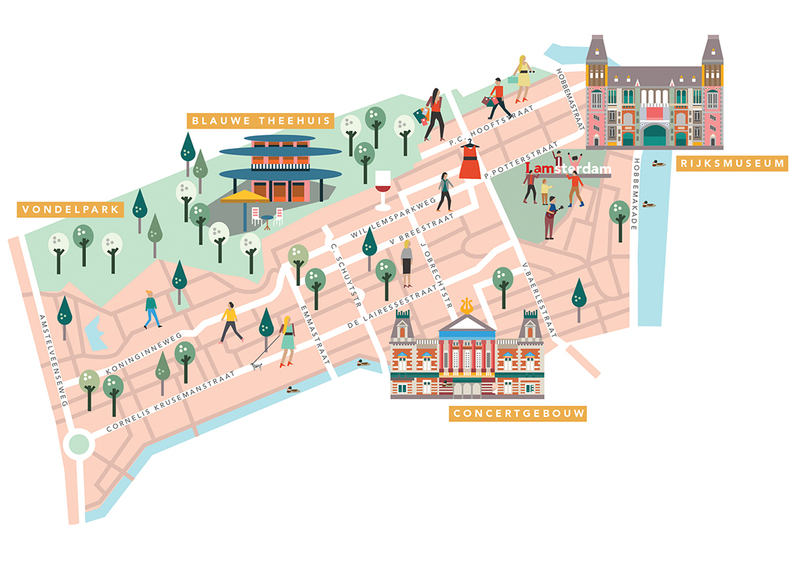 I illustrated the unique character and charm, variety of shops, restaurants and cafes, museums and attractions. 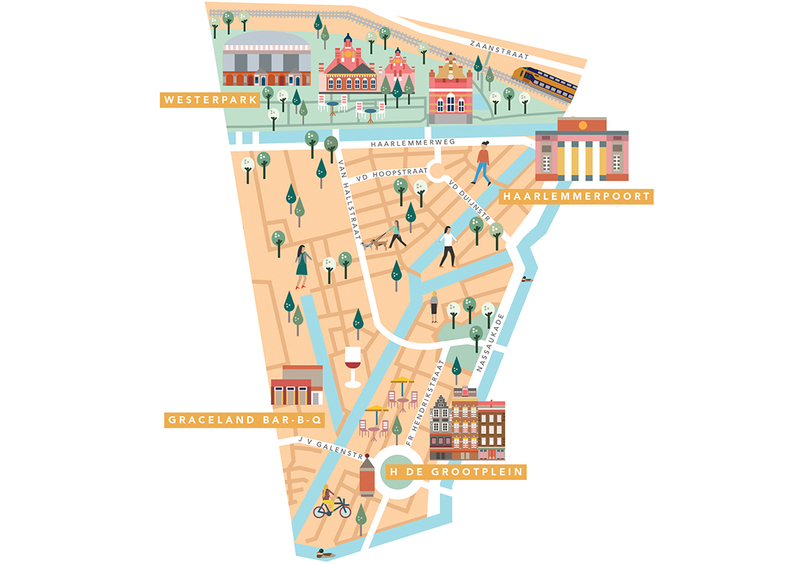 This neighborhood maps guide shows you the most special districts, that are not in the city centre of Amsterdam. 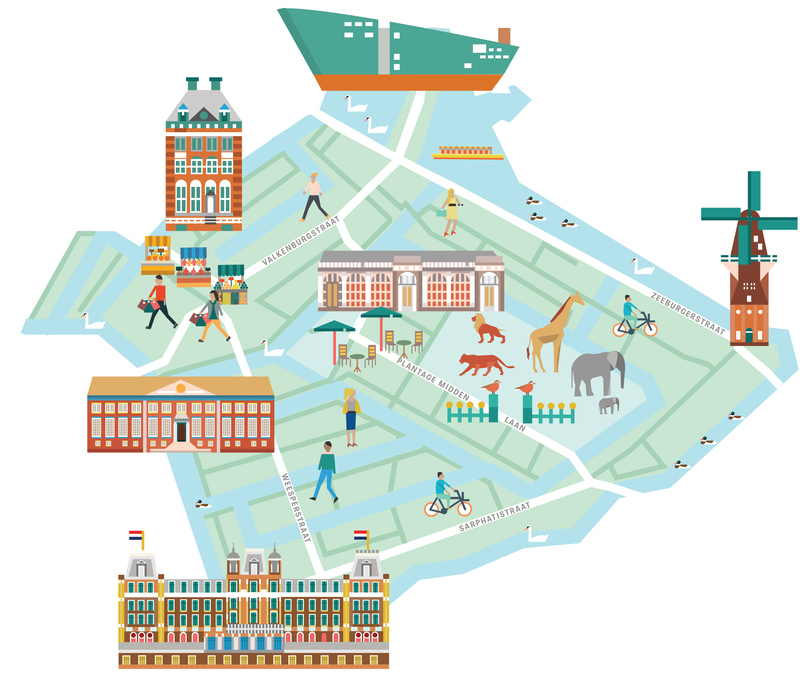 This free guide is available at many touristic points in Amsterdam from May 2015.